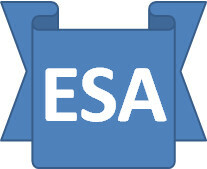 The ESA Saga: WCA Audio Recording - Take note if you intend to use. WCA Audio Recording - Take note if you intend to use. 1) Who is right and who is wrong? 2) Assuming it is Atos, who authorised this posting on their website? 3) How quickly will it be corrected? 4) Who will now contact any claimants who have been wrongly advised by Atos and rearrange their appointments as necessary? It again appears that right hand and left hand are unconnected. Answer will be posted as soon as it arrives. If you want a recording, don't be put off - insist on it. Throughout this saga, even pre-trial, it is pretty clear DWP has not wanted to provide this facility as it could undermine their intentions with the WCA. DWP has repeatedly emphasised how small the take-up was in the trial, but did nothing to ensure that demand levels were representative - in fact it can legitimately be accused of doing all it can to engineer the impression of low demand for the trial and since. It is then hoping it can discontinue the facility on this (false) basis. Enough people through appeals have shown that the Atos output from a WCA is often not just a minor error of judgement, but a deliberate attempt to misrepresent the evidence, so the audio recording facility is vital - in fact, many would argue that all WCAs should be recorded routinely rather than only on request. True to form, DWP is treating the symptoms and doing little to address the cause, so let's keep focused on why audio recording is seen as a necessity. By comparison, would you think about recording a session with your GP? I doubt it. It is simply a matter of trust, integrity and confidence.